Is there intelligence in working-class jobs? This is the monologue for the latest episode of Why? Radio. The topic was “The Intelligence in Everyday Work.” You can listen the whole episode online here. There is an attitude among men of a certain generation, that real work involves wearing a suit. While Americans have always spoken romantically about laboring with our hands, and politicians running for office fight over who is the most working class, there is still a cultural commitment to the idea of dressing up for a job. Going to an office is seen as somehow better than not doing so, and wearing a suit means being higher on the food chain than those who do physical labor. I have known quite a few people who put off being contractors or artisans until after they retired, and who, even though they may never admit it, were happier making things than they ever were sitting at a desk. It’s not that we as Americans don’t celebrate manual labor; it’s that we celebrate it in a very narrow way. 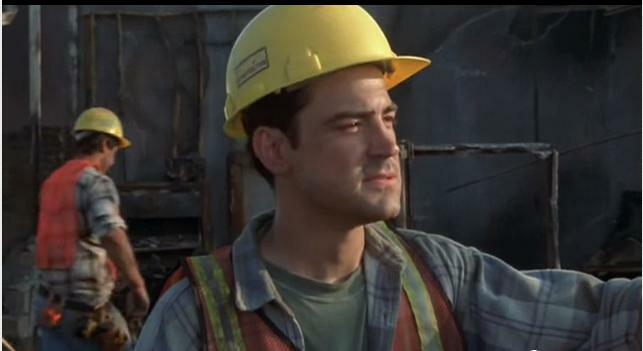 Whether it’s Andy Dufresne downing a beer after tarring a roof in the Shawshank Redemption, or Peter Gibbons working construction at the end of OfficeSpace, when our heroes do choose a life of physical work, it’s the sunlight and the fresh air that bring them happiness. The movement of their bodies and the fatigue in their arms and legs signify a job well done, not some deeper intellectual commitment to the project at hand. Whatever praise we have for the working classes, none of it involves their minds. This is an odd point of view because as Office Space shows us, the suit and the desk are rarely an indication of acute mental activity. Peter Gibbons’s TPS-reports are mindless tasks designed to get people off his back, not intellectual endeavors illustrating how important he is to the company. In contrast, the contractors who build homes and the electricians who fix our lights are working with their minds constantly. They are solving problems, calculating compromises, manufacturing solutions to crises, yet few are told to become plumbers because of the intellectual component. It’s simply a good reliable job. Today’s episode is about the intelligence of everyday workers. We are celebrating the tenth anniversary of a remarkable book called The Mind at Work, in which Mike Rose shadows waitresses, hairdressers, electricians, plumbers, and others, to articulate and honor the intellectual content of their labor. And to set the stage, I’d like to tell a story, but to do so, I have to remind everyone of the philosopher Rene Descartes’s metaphor that knowledge rests on a foundation like a house does, and that if we destroyed its foundation, everything we thought we thought we know would come crashing down. This is one of the most important and widely cited descriptions of knowledge in the Western world, but it is also ridiculously and unhelpfully simplistic, as I learned working beside my father in law, Bill. A couple of years after my wife and I bought our house, Bill helped us convert a mudroom into a breakfast area. He and I gutted it, enlarged the window, sheet-rocked, added outlets and lights, and painted. Growing up in apartments, I had no experience with this kind of construction, but he patiently carried me through the process, teaching me how to see, to anticipate problems, and, of course, to do the actual carpentry. I’ve never looked at our house the same way again. But I’ve never looked at Descartes the same way either. A house is not a simple block on a foundation, as Descartes suggests. It has a frame that distributes weight unevenly. Some beams are load-bearing, others are for design. Walls can usually be added or removed by attaching or detaching studs, but to add a window, you have to provide crossbeams to distribute weight, and modify the structure to provide new stability. Architecture provides plenty of counter-intuitive examples of free form structures – wings or balconies that appear to float in the air, diagonal lines that suggest precarious construction. Frank Lloyd Wright invented cantilevering–the use of long projected elements that were only supported on one end—and in Fallingwater, he sandwiched balconies between two vertical walls, supporting them from below and above. Wright also floated Japan’s Imperial Hotel in mud, protecting it from damage in a massive earthquake the following year. Neither of these two projects had foundations in Descartes’s sense. The important point is neither the architectural history, nor the critique of Descartes. It’s that working with Bill taught me more about my house and about philosophy than I could have imagined. Construction is a deeply intellectual enterprise and it—and my father in law—deserve a lot more credit than they get. As we rethink what it means to do intellectual work, we will have to rethink schools, social institutions, and societal values. But more than that, we have to reconsider the people who do the work. We never really know the intellectual content of anybody’s job until we are immersed in it and because of that, we also don’t know what they can teach us. This entry was posted in Education, Popular Culture, United States, Why? Radio monologue. Next Post Next post: Introducing the "Philosophy is Everywhere" project…because, well, philosophy really is everywhere. I’m afraid the link to the episode is broken. Fixed it. Thanks so much for letting us know.